PRISM fallout: European legislators furious about U.S. surveillance. When details emerged last week about the National Security Agency’s Internet surveillance system PRISM, President Obama attempted to reassure Americans that it was not being used to target them. Instead, he implied, it is aimed at the other 95 percent of the world’s population. The PRISM system, according to a set of leaked top-secret PowerPoint slides, enables the NSA to obtain private emails and other user data directly from the central servers of major Internet companies such as Google, Microsoft, Facebook, and Yahoo. The companies named as part of the program initially denied involvement, but some anonymous executives have since acknowledged the system’s existence, saying it is used to share information about foreign customers with the NSA and other parts of the U.S. intelligence community. At the heart of the PRISM story is a scandal that is not domestic but global. The existence of PRISM provides vindication for privacy advocates worldwide who have been voicing alarm about the U.S. government’s ability to conduct mass surveillance of foreigners’ communications sent and received using services like Google’s Gmail and Microsoft’s Hotmail and Skype. Earlier this year, a prescient report produced for the European Parliament warned that the U.S. Foreign Intelligence Surveillance Act had authorized “purely political surveillance on foreigners’ data” and could be used to secretly force U.S. cloud providers like Google to provide a live “wiretap” of European users’ communications. That appears to be precisely what PRISM enables. NSA agents can reportedly use the system to enter search terms into a “Web interface” that allows them to request and receive data—some of it in real time—from one or all of the participating companies. Director of National Intelligence James Clapper has confirmed that it operates under a controversial section of FISA that authorizes broad surveillance of non-U.S. persons—from foreign government agents, to suspected terrorists, and “foreign-based political organizations,” a vaguely defined category that could feasibly be used to target journalists and human rights groups. The system may also sweep up Americans’ communications incidentally, because dragnet surveillance is not an exact science. The NSA only has to have “51 percent confidence” that it is targeting a non-U.S. citizen in an attempt to prevent violations of the Fourth Amendment, which protects against unreasonable searches. But for foreigners there does not appear to be any protection at all. Before the disclosure of PRISM, a handful of European politicians were trying to amend data protection regulations to shield against suspected sweeping secret U.S. surveillance programs. The politicians’ concerns seemed to fall on deaf ears. However, the disclosure of PRISM has provided a level of confirmation that the suspicions were not rooted in paranoia, and the importance of this cannot be overstated. It has finally jolted senior European officials into action. Viviane Reding, vice president of the European Commission, the EU’s executive body, said in a statement Friday that “a clear legal framework for the protection of personal data is not a luxury or constraint but a fundamental right,” suggesting that the commission may support the introduction of more stringent privacy safeguards Europe-wide in response to PRISM. 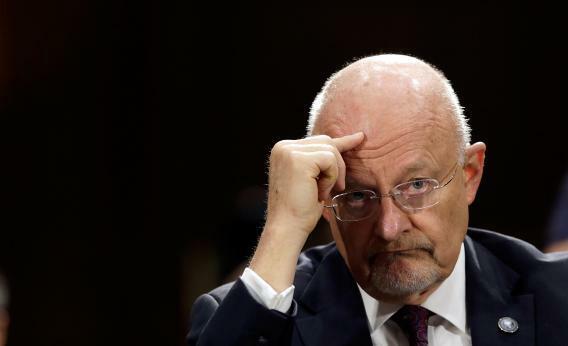 Clapper, the U.S. director of national intelligence, said Thursday that the intelligence community was “committed to respecting the civil liberties and privacy of all American citizens.” But the U.S. government claims to endorse the Universal Declaration of Human Rights, which makes it clear that all citizens—not just American citizens—have a right not to be subjected to “arbitrary interference” with “privacy, family, home or correspondence.” And that is exactly the problem with the NSA’s PRISM: it puts the universal right to privacy through the shredder, and encourages other governments to do the same.